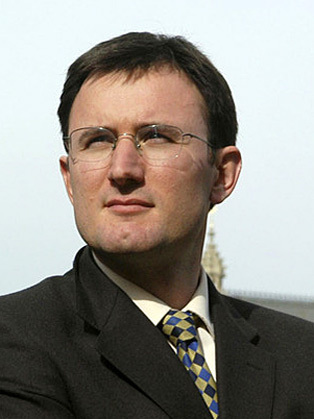 James Landale has a wealth of experience in British politics having spent ten years working as a reporter for the Times newspaper, primarily as a Political Correspondent at Westminster as well as Brussels Correspondent/ Assistant Foreign Editor in the wake of the 9/11 terrorist attacks. He was headhunted by the BBC in 2003 and was quickly promoted to become the Chief Political Correspondent for the BBC News channel. In this role, James led the BBC's 24-hour political news coverage from Westminster, whilst, at the same time also presenting ‘Straight Talk’, a weekly political discussion shows. In December 2015, James was named Broadcaster of the Year by the Political Studies Association for what they called his "huge contribution to the public understanding of politics". In addition to these prominent positions, James has also presented a variety of programmes on television and radio including the Andrew Marr Show on BBC1, The Daily Politics on BBC 2 and The World at One and Westminster Hour on BBC Radio 4. He has chaired conferences for organisations such as the British Chambers of Commerce and also undertaken a variety of public speaking engagements, ranging from breakfast briefings to after-dinner speeches. In his spare time, James has also written two books. One book, ‘Duel - a true story of death and honour’, recounts not just the extraordinary history of pistol duelling but also the story of James' ancestor who took part in the last fatal pistol in Scotland. James also turned the book into a Timewatch documentary for BBC2 in 2007. He has also published a volume of poetry – ‘Landale's Cautionary Tales: Comic Verse for the 21st Century’.